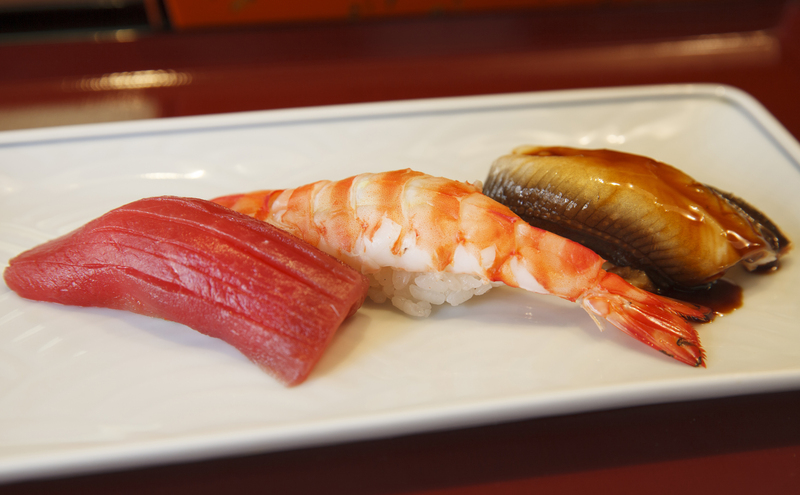 There are thousands of sushi restaurants in Tokyo. So even if you visit a sushi restaurant a day for a year, it's still not easy to narrow down thousands (some say nearly 4000) of sushi spots to a top ten. 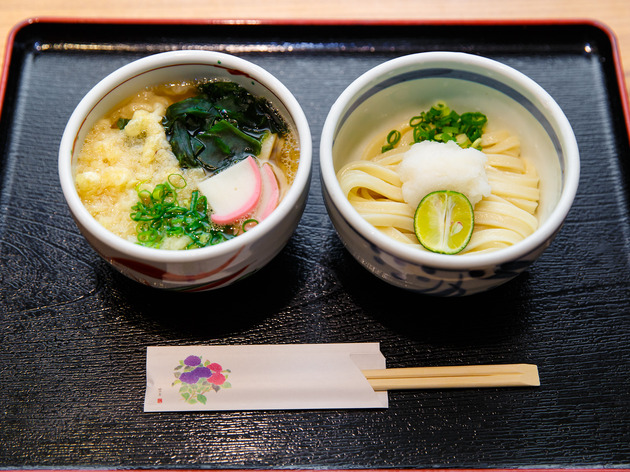 To make it more practical, we've stuck to high-end (chef's selection from ¥10,000) restaurants, which are semi-easy to get a reservation at least a few weeks in advance. On top of that, they have a distinctive preparation style, and not be excessively far from central Tokyo. Most importantly, they ought to be a good option for high-end sushi restaurant first-timers, or those who can't speak Japanese. 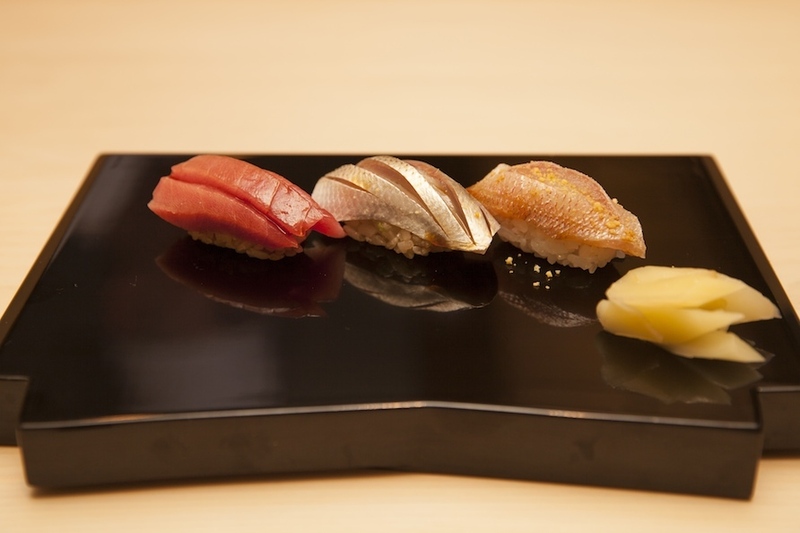 Welcome to the wonderful world of fine-dining sushi. 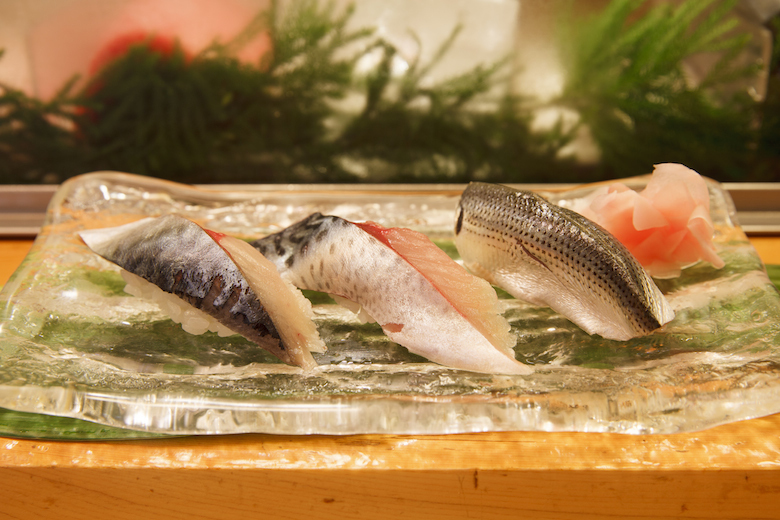 If you thought it was the fish that dictated how sushi tasted, think again. Many of the pros will tell you that it’s actually the rice, known as ‘shari’, that plays the most important role in determining flavour. 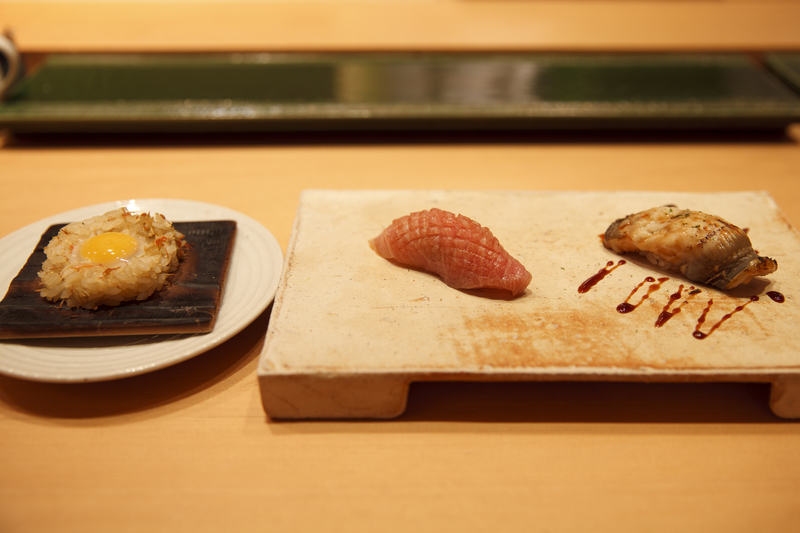 You can certainly taste the difference at Tsugu Sushimasa. That’s because they don’t use regular rice vinegar (shirozu) here: instead, they prefer akazu, a red vinegar made from sake lees that was the default option for sushi back in the Edo period (1603-1868). It’s light brown in colour, with a stronger taste; think of it as the chardonnay to shirozu’s sauvignon blanc. 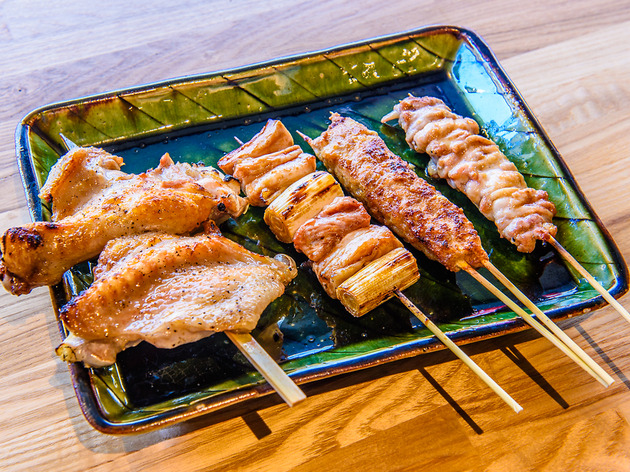 Sushimasa has been going for three generations now, which is what inspired current chef Shogo Sugaya to add the word tsugu (to succeed or inherit) to the restaurant’s name. 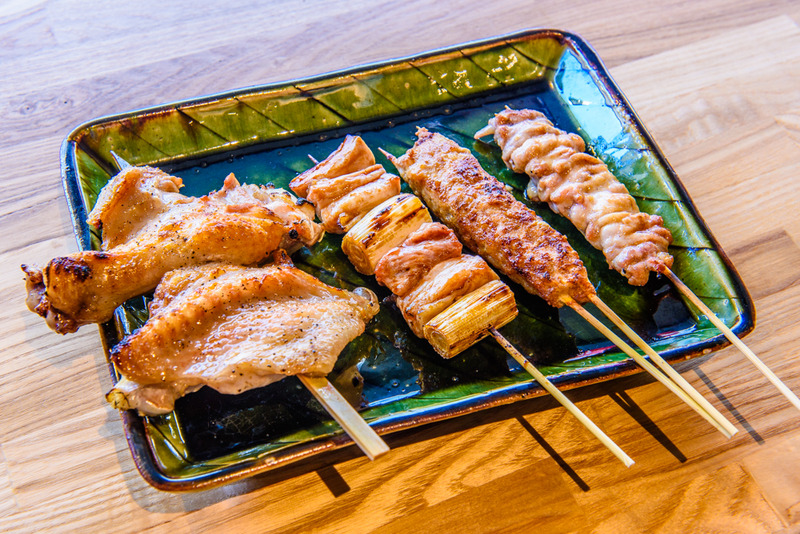 And if you fancy something other than raw fish for dinner, you’re in luck: the menu also features a range of grilled fish and other small plates. 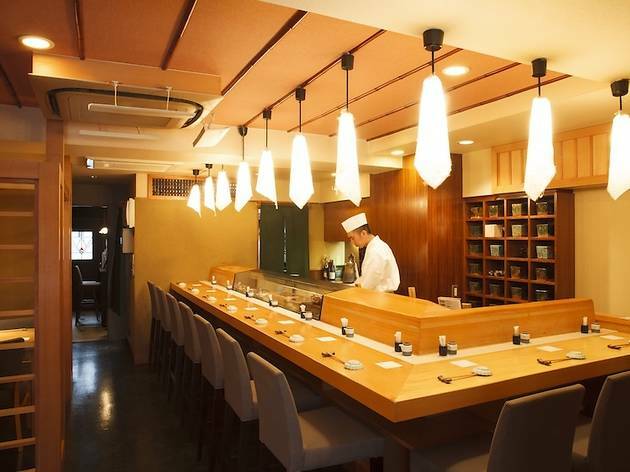 Expect to pay from ¥10,000 plus tax for an omakase (chef’s choice) course. 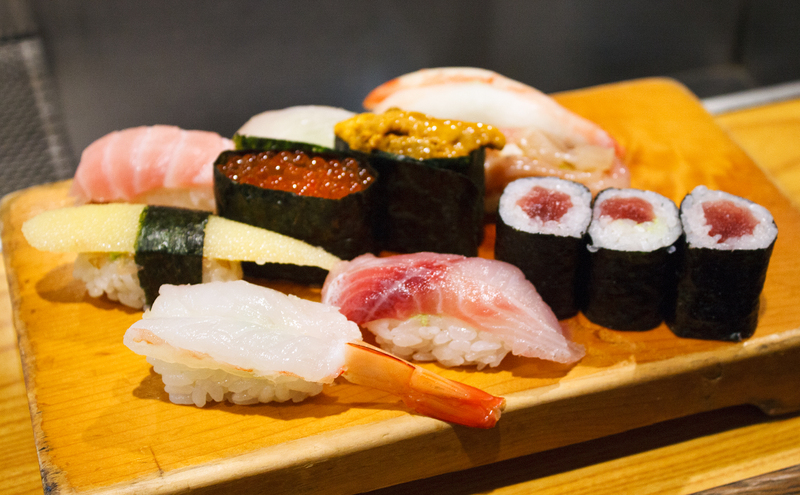 If you asked Japanese diners what their favourite type of sushi was, most would probably pick tuna. 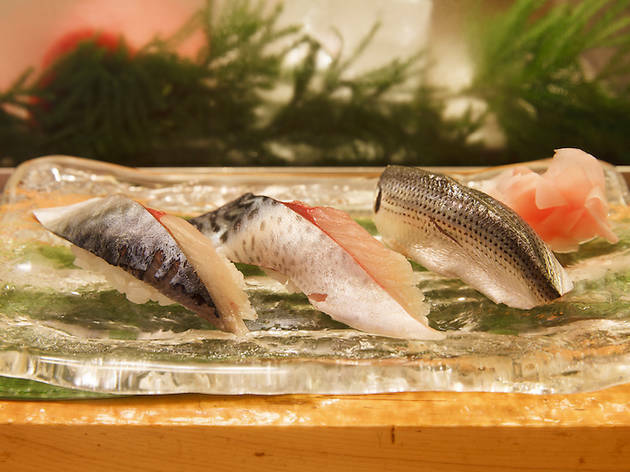 You can find all sorts of restaurants that specialise in the fish, from budget kaiten-zushi (conveyor-belt sushi) joints to ultra-swanky places in Ginza that charge ¥3,000 a piece. If you want to get the very best tuna sushi, though, you should take your business to Irifune instead. The ¥21,600 Magurozukushi Nigiri (literally, ‘all sorts of tuna sushi’) set here includes a dozen pieces of nigiri sushi and six rolls made with a variety of cuts (akami, chutoro, otoro and otoro aburi), plus omelette. Chef Katsumi Honda is in his seventies now, but he was just 27 years old when he first opened the restaurant back in 1968. As if that wasn’t notable enough, Irifune also stays open 365 days a year, and it doesn’t close between lunch and dinner. For a real treat, we recommend bringing along your favourite red wine – yup, you can bring your own if you’re sitting at a table – and pairing it with some otoro aburi. One of the pleasures of eating at a sushi restaurant is chatting with the chef, but there aren’t many places in Tokyo where you can do that in English. This is one of them. Teruya Iida moved to New York as a high-school student and started his training at a sushi restaurant in Manhattan, making him one of the few high-end sushi chefs in Tokyo who speaks English fluently. After returning to Japan, he opened his own restaurant. 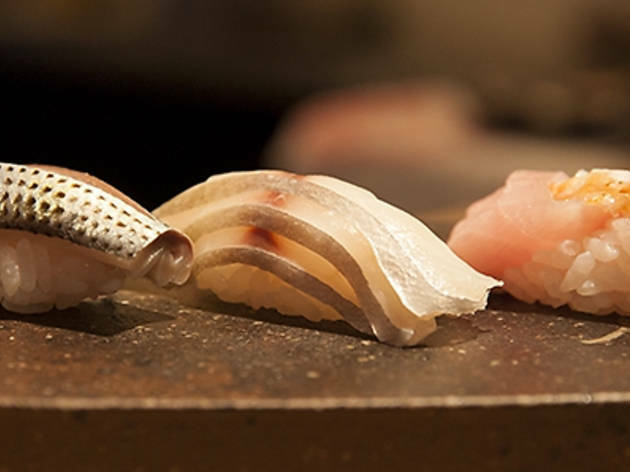 He still practises the Sushi Sho style of serving a wide variety of morsels in small portions, alternating between nigiri (using both shirozu and akazu vinegar) and side dishes. Expect some individual touches, too – including some fastidiously prepared desserts. 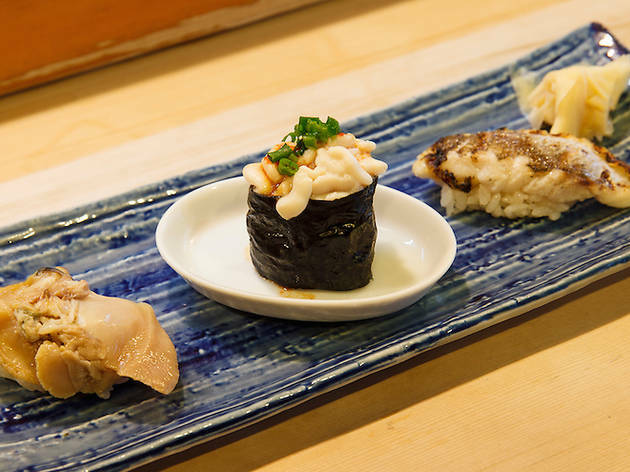 An omakase course costs around ¥20,000. 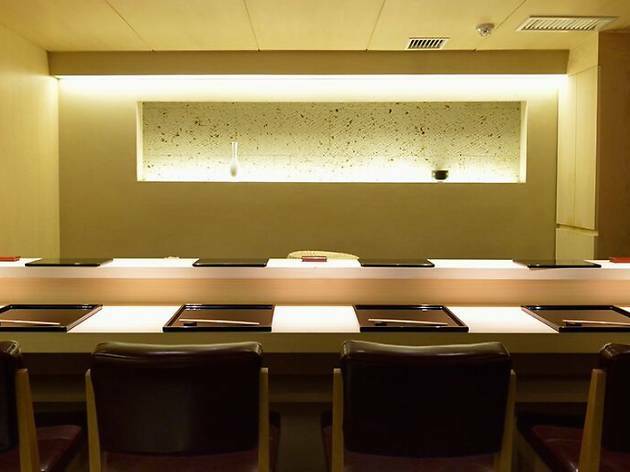 Thanks to 'Jiro Dreams of Sushi' and a visit from President Obama, Sukiyabashi Jiro has become one of those places that's near impossible to get a reservation for. Chef Rei Masuda worked as an apprentice at Jiro for nine years before opening his own restaurant, Masuda, in January 2014, and was later awarded a Michelin star. 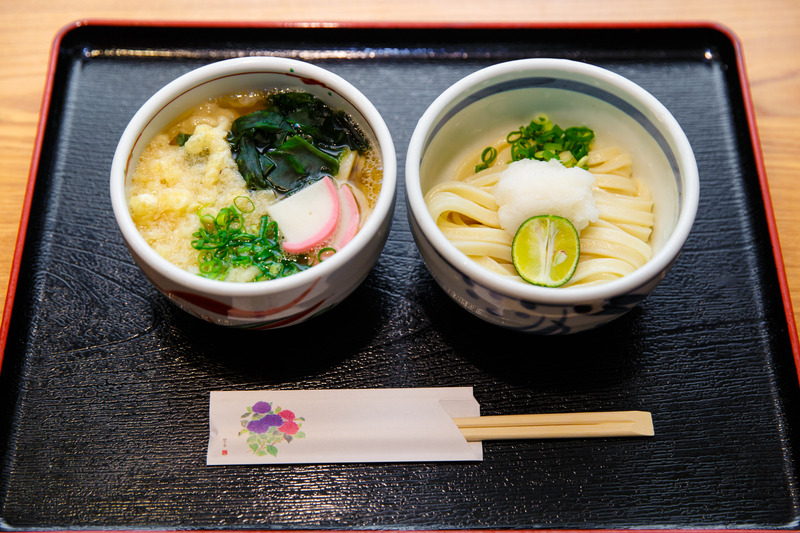 Even though his restaurant is called an alternative to Jiro, there are several key aspects that set it apart. One being the use of sillago and kasugo. Another being the wide selection of appetisers along with stewed and flame-broiled dishes, wine and champagne. Customers can enjoy their two-hour dinner slot in a more relaxed atmosphere, or book a private room that can accommodate six. One thing that Masuda does share with Jiro is a distinctive, vinegary-tasting sushi rice. For the time being, business is going well with Masuda's reputation as 'Jiro's personal pupil', but Jiro's older apprentices like Mizutani and Harutaka have also started gaining popularity. It will be interesting to see what originality Masuda brings to the table in future. Akira Hayakawa boasts a more diverse CV than the average sushi chef, including stints at restaurants in Roppongi and Ginza that specialise in other types of Japanese cuisine. Working behind a handsome wooden counter at this unmarked Ebisu restaurant, he employs a range of methods you wouldn’t normally see at a sushi restaurant. 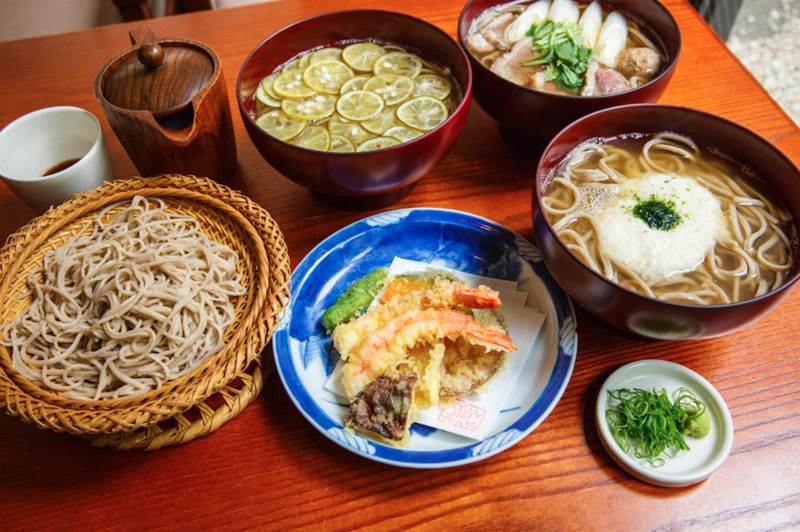 Typical dishes include young sea bream sandwiched between sheets of blossom-scented kelp, and channel rockfish skin braised with burning straw and served with kidneys marinated in soy sauce. Then there’s his signature dish, the Hayakawa Special: rich tuna belly served on a charcoal-broiled roll with flakes of truffle. Expect to pay around ¥20,000. 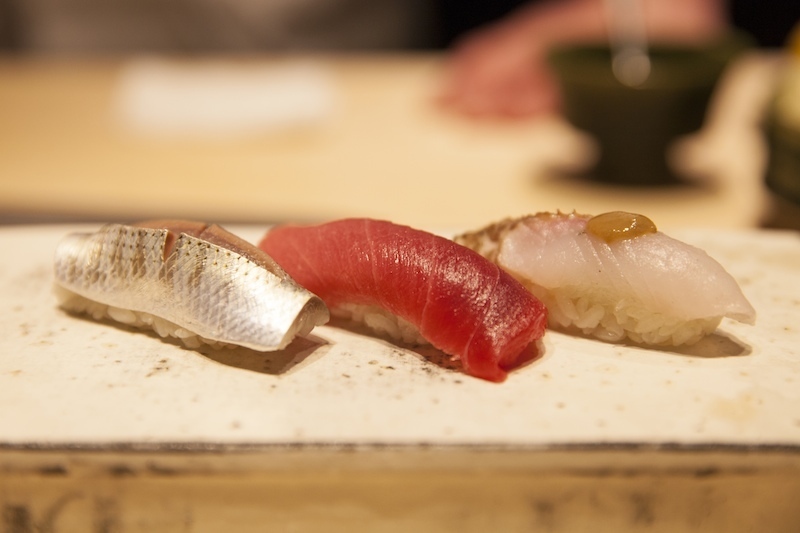 There are more than 30,000 sushi restaurants in all of Japan, but you’ll only find a handful of high-end places that keep tuna off the menu. 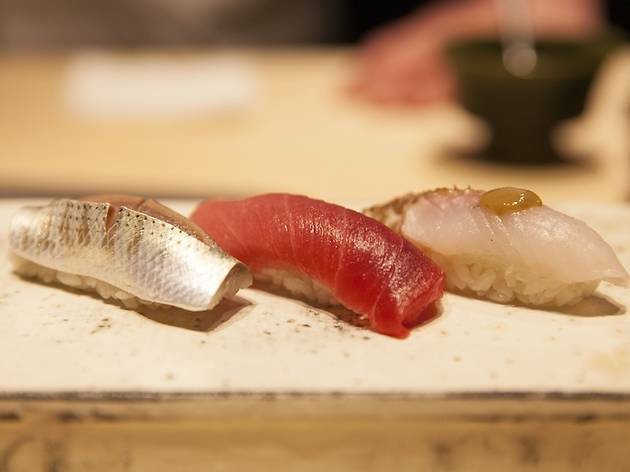 Sushi Hirose is one of them, but it’s not out of environmental concerns: chef Ryuji Hirose just says he prefers other kinds of fish. He’s a big fan of marinating, which he does by wrapping the fish in kelp and storing it in vinegar to bring out the flavour. Of the 30-odd seafood dishes on offer, a good dozen are prepared in this way; on a recent visit, these included flounder, octopus, sea bass and sea robin. 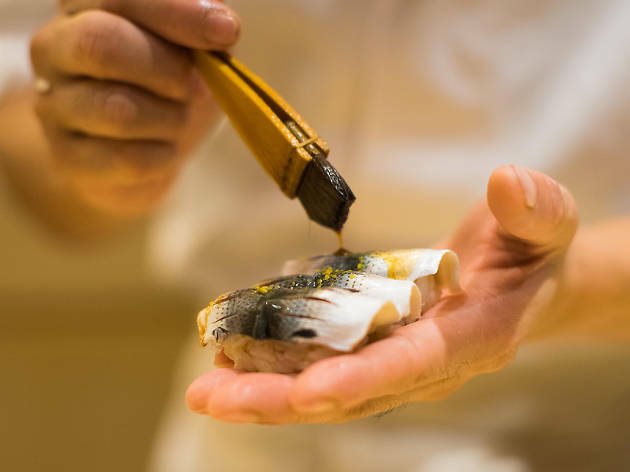 If Hirose’s approach seems unusual, it’s probably because he didn’t work his way up through the ranks like most sushi chefs do: already an expert in other forms of Japanese cuisine, he did a brief apprenticeship and then went straight in at the deep end. 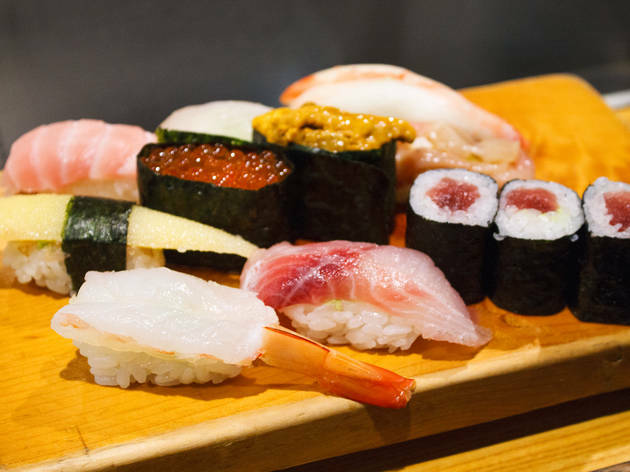 For most Japanese people, sushi is associated not so much with Tokyo but rather with Edo, the city's original name. When Edo became Tokyo in 1868, it was not only social systems but also other aspects of culture such as food, clothing, housing, music and fine art that went through rapid Westernisation. In this context, sushi is considered a symbol of nostalgia, representing the Edo culture that has been preserved from the 19th century and continues to be loved today. 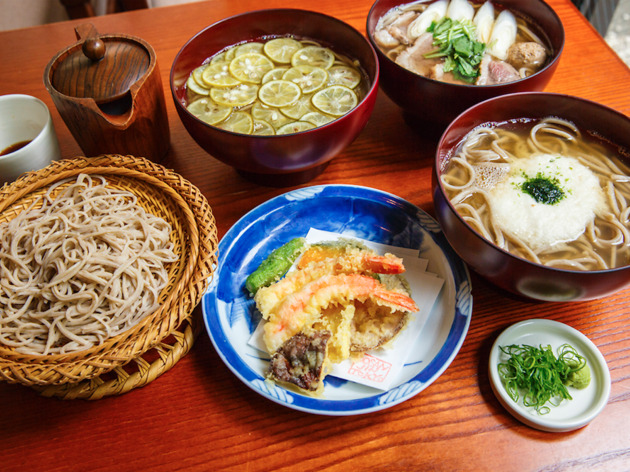 If you want to get a feel for Edo style, including the ambience inside a restaurant, try Kizushi in Ningyocho. Their wooden building is more than 60 years old and was originally used as an okiya (lodging house for geishas). Ryuichi Yui, who is the third and current chef of the restaurant, describes the business as 'digging deeper into tradition, rather than being attracted by the latest trends'. 'We are classical sushi, so to speak,' he adds. 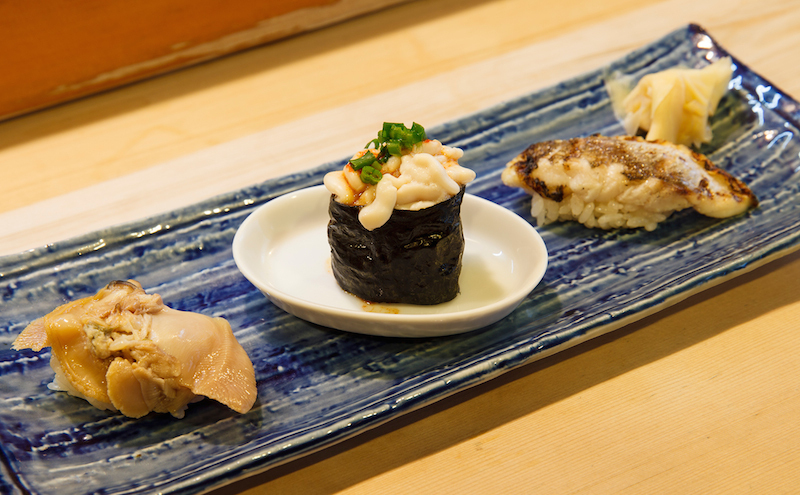 In addition to orthodox sushi items like tuna, cooked clam and conger eel, the menu also has more uncommon items such as ika no inrou zume (boiled squid stuffed with gourd shavings, ginger, nori seaweed and rice) and tazuna maki (sushi presented as slices of vinegar-marinated gizzard shad, rice and slices of boiled shrimp). 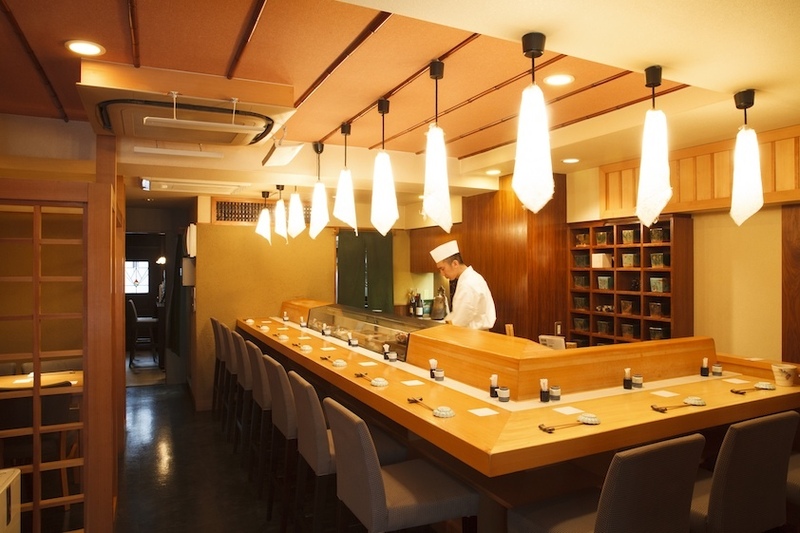 Although this is a long-established sushi restaurant, the staff make sure guests, especially first-timers, feel comfortable when they visit. 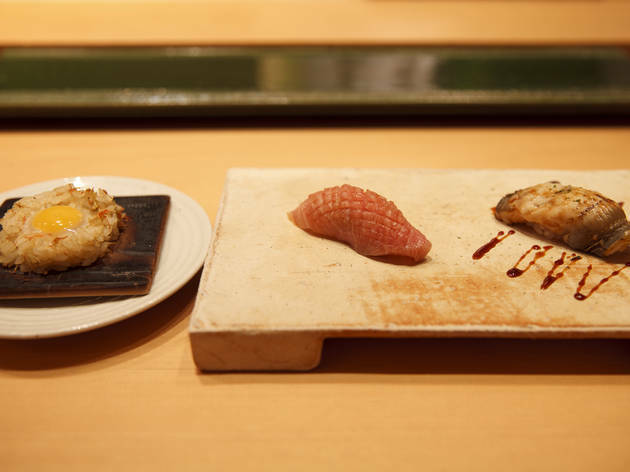 One such unique item is yaki-zushi (grilled sushi), which consists of crab meat, sushi rice and quail egg placed on a small piece of cedar wood and lightly grilled in an oven. Another example is makimono-chazuke (rolled sushi in tea), which consists of rolled sushi placed in a bowl with soup poured over it. 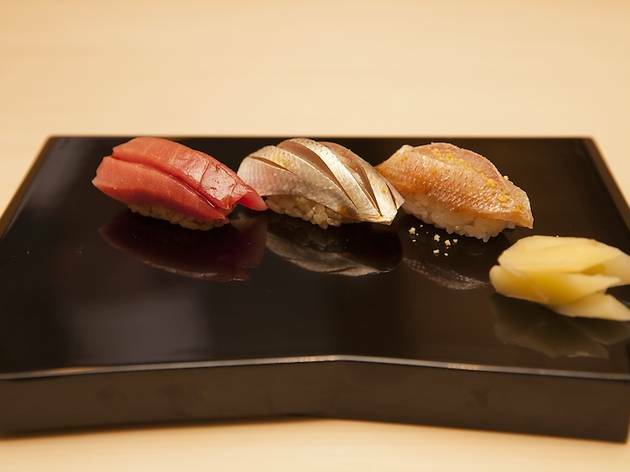 In terms of creativity, Sushi Kuriyagawa ranks at the top of Tokyo’s high-end restaurants. Thanks to the chef's love of children, babies and kids are welcome if a private room is available, and during weekday lunchtimes a professional babysitter will look after your children at no extra cost while you enjoy sushi in their private room (a reservation is required to use this service). As is advertised at the entrance with big kanji characters meaning 'We serve good mackerel', Sushi Daizen specialises in silver-skinned fish like mackerel, sardines and gizzard shad. Its location – a small space underneath elevated railway tracks with room for only nine seats – is a turn-off for some, but it certainly adds to the atmosphere. You're also welcome to bring along your own drinks, which also goes a long way to creating atmosphere (a good place to stock up is at the liquor store on the second floor of Bic Camera outside Yurakucho Station). The staff don't speak English, but the chef, who's in his seventies, and his son and daughter run the place with that cosy family feel. They only offer set meals and the basic structure is sashimi, a grilled dish, nigiri and miso soup. They sometimes serve oysters depending on the season. As for mackerel, their speciality, they often serve two types with different origins, both as sashimi, so that you can experience the difference in taste. As the freshness of the seafood is their top priority, they only serve freshly caught fish – which means the restaurant is sometimes closed on Wednesdays, and all Saturdays, Sundays and public holidays, the same days Tsukiji Fish Market (soon Toyosu Fish Market) is closed. Very few people know about the fish market up in Adachi, or about this high-end sushi restaurant in the same area. 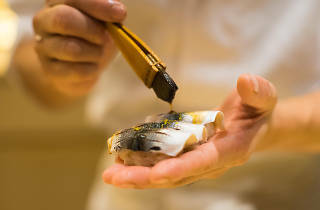 Take a close look at the photographs of sushi before ordering: they offer some more unorthodox options as their favourites, including seared barracuda, milt and cooked clam. 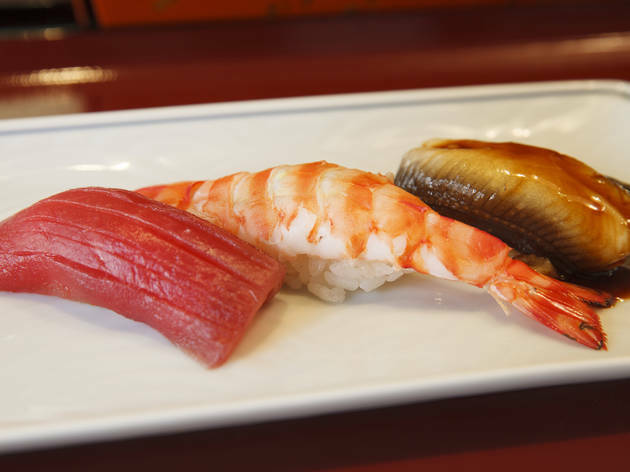 It's more than 30 minutes from Tokyo Station and there aren’t many noteworthy attractions in the area, but the two hours you'll spend queueing up for sushi at Tsukiji (and soon Toyosu) could be better spent eating in peace here. Your meal will cost half the price too. There's also always a healthy collection of more than 20 types of sake on offer. If you're going on a Saturday, it's best to make a reservation.